of the Cotee River, cold drinks, fresh eats and live music! When you think of Whiskey Joe’s, think of tropical breezes, white sand, cold drinks, delicious grub and killer sunsets. Whiskey Joe's offers mouthwatering island-inspired dishes and specialty cocktails that complement the breathtaking waterfront views of the Cotee River. 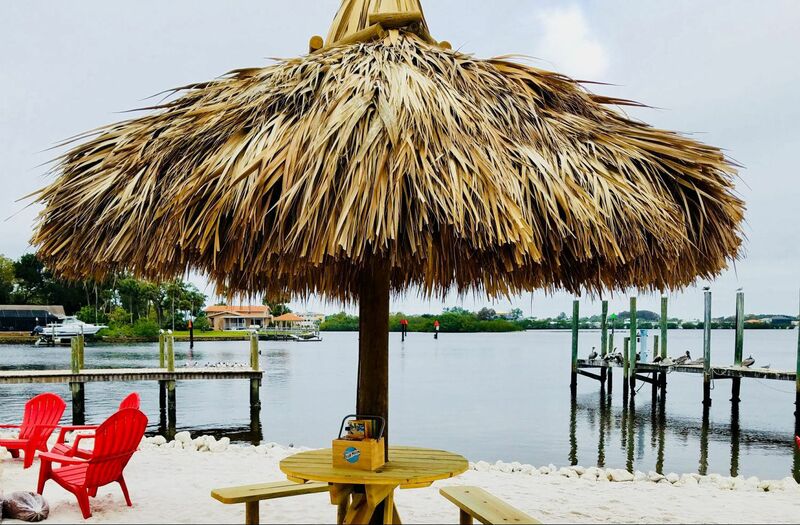 Whiskey Joe's World Famous Barefoot Tiki Bar brings the islands even closer with boat pull-ups, live entertainment and white sand . Whiskey Joe's invites you to grab a couple of our famous tacos in the dining room, soak up some sunshine and sweet waterfront views on our patio. Host a Private Party on our Beach or Dining Room! Whether you're celebrating a life milestone or planning a business event, we welcome you to Whiskey Joe's with our unique indoor and outdoor waterfront spaces. Our special events team is dedicated to making your next corporate event, wedding reception, social gathering, themed celebration or private party memorable. Let our expert event team design, coordinate and execute your occasion flawlessly. Orphaned on a Caribbean Island as a child, Joe was "taken in" by the salty world-renowned captain, Shanghai Red, to serve in his ship's galley. Sailing from shore to shore and island to island, Joe quickly learned the ways of the open sea and the food many a distant land-from exotic new dishes of fish, coconut and spices to new and unique ways to spin a beverage to appease a weary traveler. Reservations are available for the upstairs restaurant and outdoor deck. The Beach and World Famous Barefoot Tiki Bar are first come, first serve - no reservations. Walk-ins are welcome! Offsite parking available on Treadway Ave.
Order your Whiskey Joe's Gift Cards online and get it delivered right to your email inbox! Whiskey Joe's Port Richey Bar and Grill is a proud member of Specialty Restaurants Corporation (SRC).